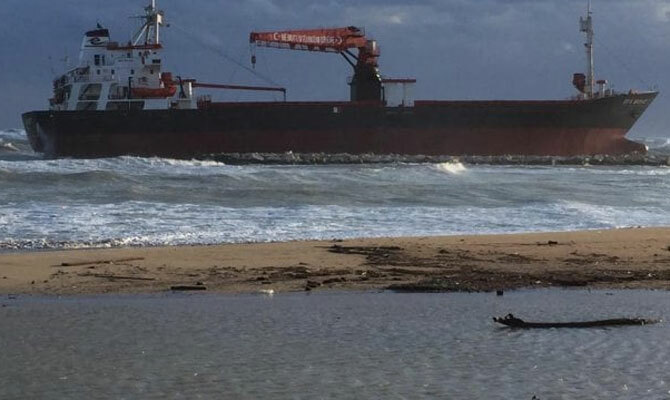 General cargo ship EFE MURAT was beached by strong storm at Bari breakwater, Italy, Adriatic sea, early in the morning Feb 23. 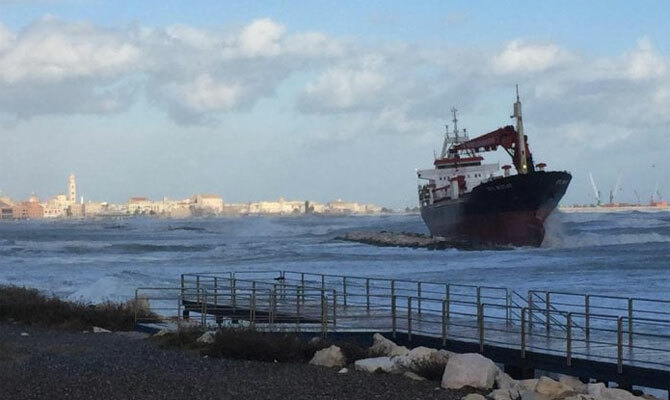 The ship was ballasting from Ortona Italy, north of Bari, to Aliaga, Master headed for Bari with an intention to shelter from the storm, but changed his mind and decided to continue the voyage. Reportedly there wasn’t any mechanical failure, the ship couldn’t hold on against wind and swell, and drifted aground. 15 crew are safe, no leak reported, refloating to begin after weather improvement. General cargo ship EFE MURAT, IMO 7431131, dwt 5786, built 1977, flag Turkey, manager EFEMAY DENIZCILIK VE TICARET.